Home Bonuses News USI-TECH USI-TECH: NEW YEAR'S TOKEN BONUS! 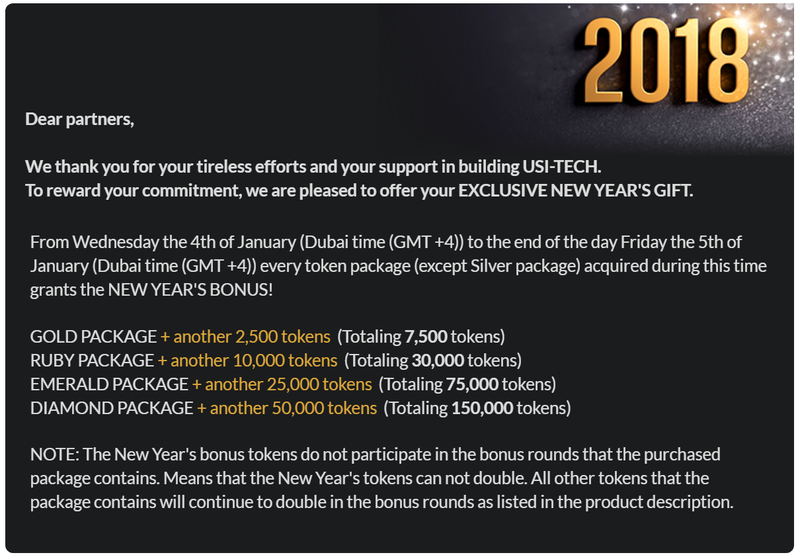 USI-TECH: NEW YEAR'S TOKEN BONUS! For those who are looking for long term investment. You may want to grab it now! USI-TECH is offering token bonus of the available TechCoin (TECH) in their platform. This includes of the following: see image below. NOTE: Silver Package has no bonus.